Jazz fans like myself grew up with only a small portion of the music preserved on records available to them. There were complete sets of Ellington issued, one by one, on French lps, but much of the music seemed hidden until the last decade or so, where complete projects seemed to spring up everywhere. Want the complete Django , Condon broadcasts, or Fats? A Mosaic box with unissued takes you never knew existed? Move that mouse and it’s yours. So occasionally I feel as if every meal was an all-you-can-eat affair. But magnificent jazz recordings few people had known about are still being emerging. 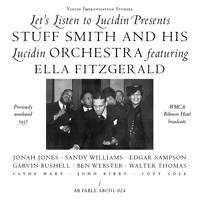 Imagine, if you will, a 1937 swing band — its members drawn from the Chick Webb band, the Cab Calloway band, and Stuff Smith’s ensemble — playing pop tunes with arrangements by Edgar Sampson. Imagine that the soloists include Ben Webster, Jonah Jones, Sandy Williams. 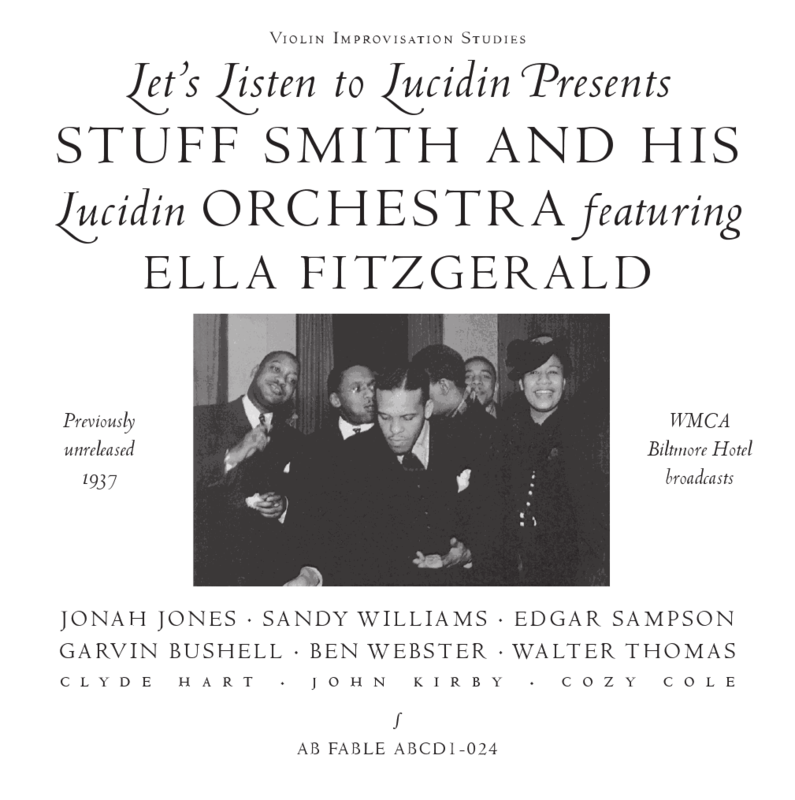 Imagine that the band is led by Stuff Smith. Finally, imagine that the vocalist is a youthful, pert Ella Fitzgerald. It’s not available yet, but it will be . . . visit http://www.abar.net/. And in the US, you’ll be able to ourchase it through CADENCE: www.cadencebuilding.com. P.S. The radio programs were sponsored by an eye lotion (I believed it was advertised as providing for relief for red, dry eyes — something that bloggers know all too well!) called LUCIDIN. Are any of my readers collectors of archaic pharmaceuticals, and has anyone ever seen a Lucidin bottle? I don’t think it was a long-lived product, alas. Send word, please.